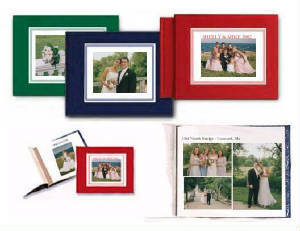 30 page Storybook layout w/30-100 photos, mounted digital layout to the page edge. 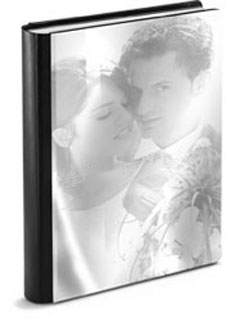 w/center cut out cover or full cover image. 2 lines of text can be included. 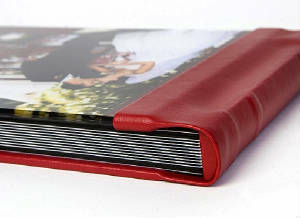 Page edges are guilded in black, silver or gold. 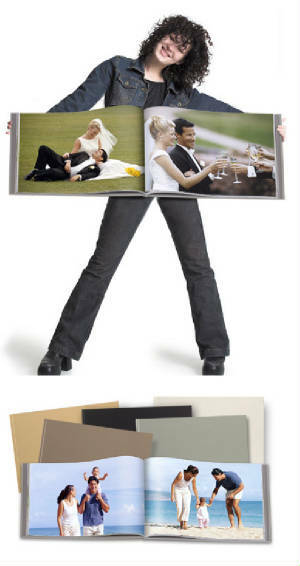 Full image cover, cameo insert, image window cut out or double cut out. Pages edges do not have guilding. Some options can have cover text and others can't. 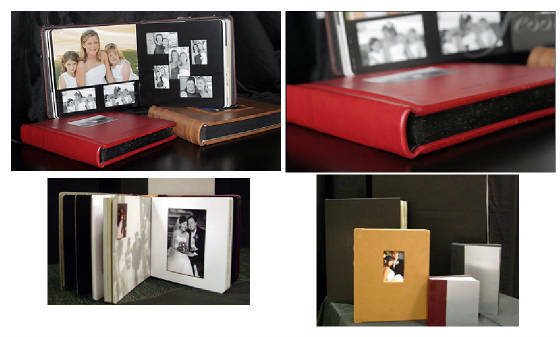 30 page Storybook layout w/30-100 photos, A mix of digital muonted pages and traditional matted pages. 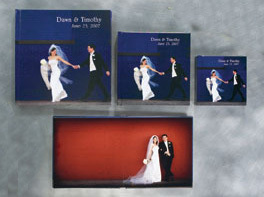 This is a printing process; printed on semi-gloss paper not photographic paper. 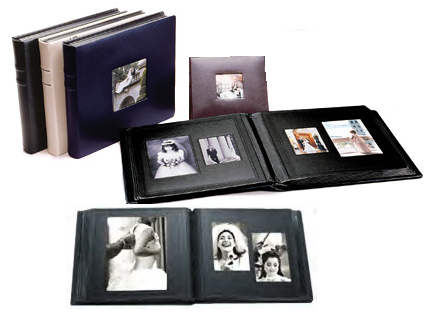 This price is for the same layout as the Bridal album. New designs add $150 to the below prices.